Burt’s Bees has been a long time favourite of mine and here’s why…. Burt’s Bees has a range of beauty product from lip balms to facial cleansers to moisturisers. They even have a line of baby care goods that, until today, I had no idea they had available. If you didn’t know, I’ve been a fan of Burt’s bees since 2014 when I received my first Bellabox ( https://bellabox.com.au ). Inside was a Burt’s Bees Beeswax Lip balm, and it became my favourite and was subsequently stolen by my best friend, apparently, she loved it too. A few boxes later and I received a Burt’s Bees hand creme. And so my love of Burt’s Bees products began. Burt’s Bees pride themselves on the natural ingredients they use in their products. You can find a list of ingredients here. Burt’s Bees use Bees wax as the binder in all their products. They do not test on animals and are as natural as can be. On the packaging you can find a bar that identifies how natural the product is, for more information click here. Burt’s Bees Intense Hydration Cleanser with Clary Sage is a facial cleanser which I’ll admit I use as a body wash. It has an intense scent that is strong (hence using it as a body wash). It leaves the skin with a fresh scent after your shower though and it lingers for hours. (It’s quite pleasant after your shower). The hydration cleanser feel so soft when you rub it into the skin and a bonus it only takes a small amount to cover the body (10 -20 cent piece). Burt’s Bees Radiance Facial Cleanser with Royal Jelly, smells amazing! It immediately helped me relax. I definitely love this product. It does everything it claims. It takes a small amount (5 – 10 cent piece) to provide full coverage. The sweet-smelling facial cleanser removes dirt, old skin, and makeup without a fuss, leaving you skin feeling amazingly clean. Burt’s Bees Lip Balm come in some amazing flavours including Strawberry, Wild cherry, Açai berry, Coconut & Pear, Pomegranate, Vanilla Bean, Bees wax, Pink Grapefruit, Mango Butter and Honey. (please note the lip balm doesn’t taste like the flavours) aside from this they do actually work. Intense Hydration Cleanser (AU$24.95)works almost immediately. It leaves your skin feeling clean, fresh and soft to touch. It’s a thick cream that is soft to the touch and I discovered an incredible bonus. As I said I use it as a body wash, and it made my mummy stripes (stretch marks) softer and harder to notice. Even three hours later the soft scent was still lingering on my skin and I felt amazing. Radiance Facial Cleanser (AU$24.95) is a light creamy liquid that feels like silk. It starts working as soon as you start applying it, you can feel your face tighten as you lather the soft cleanser into your skin. It left my skin feeling tighter, cleaner, and softer than before, even days later my skin was feeling amazing. It even helped my break out (hormones) lessen. Burt’s Bees Lip Balm (AU$6.95), their range of lip balms offer different effects from hydration to lip colour. I prefer the lip hydration (I live in the desert). They work amazingly well. So well in fact that I can overlook the unfortunate after taste that they can have. 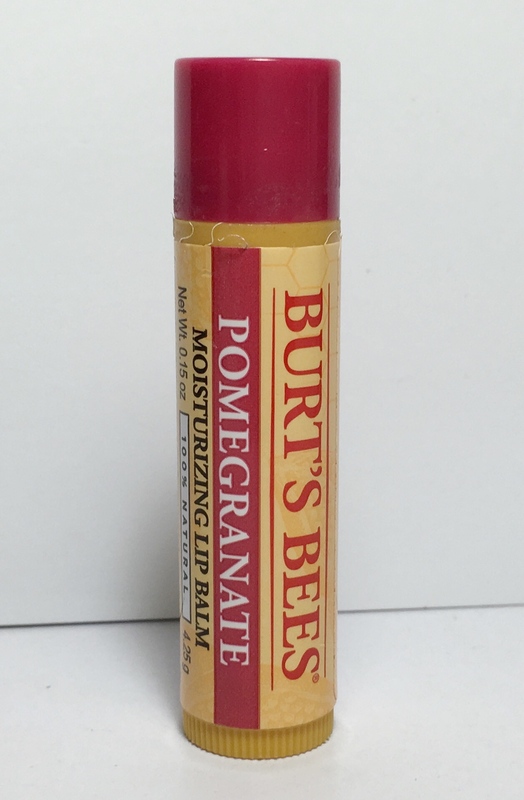 My lips are always softer and less prone to splitting when I use Burt’s Bees Lip Balms. Burtsbees.com American website only delivers inside the USA. Would I recommend Burt’s Bees? Yes, their products do everything they claim they do. They offer a large range of products. Lip colours, Lip Crayons, Lip Gloss, Lip shimmer, Lip shine, Tinted Lip Colour, Lip care, Facial cleansers, Facial scrubs & Toners, Facial & Body Moisturiser , Facial Treatment, Facial towelettes, Eye creams, Body Washes & Scrubs, Hands & Feet care, Baby Wash, Baby Soaps, Baby Moisturiser, and Diaper Ointments. You can also buy gift sets. Previous postTrefiel Hydrating Masks: Incredible and Affordable! Next postBaimeni: Natural Products that Work for you and your wallet!